At Thornhill Security we believe in maintaining high professional standards as both locksmiths and as safe suppliers. Since establishing over 40years ago we strive to deliver an ongoing commitment to providing quality products, information, advice and service to our customers. With this promise in mind, Thornhill Security are a professionally accredited company and members of four acclaimed associations to ensure our customers’ additional peace of mind. Master Lockmsiths are a non-profit organisation who have established themselves as the largest and longest running Locksmith Association in the UK. Founded with the purpose to set and promote standards of conduct, skills, ethics, practice and materials within the locksmith industry all company members are vetted, undergo regular inspections to ensure quality and employ locksmiths with recognised exam-based qualifications. In addition MLA are recognised at the authoritative body for UK locksmiths by a number of organisations including; Home Office; The Police; British Standards Institute; Risk Insight Strategy and Control Authority and European Locksmiths Federation. You can therefore be assured that Thornhill Security provide you with the highest national standards. 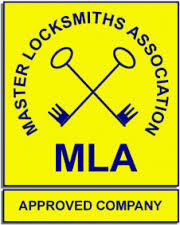 More information about the Master Locksmith Association can be found here. As the association of British Safe Manufacturers EuroSafe aim to restore confidence in European Standards for testing and rating cash safes, security cabinets, document fire safes and computer data safes. Our customers at Thornhill Security can be assured that you receive only the highest quality security products which have been tested and certified by BRE/LPCB in the UK or European test houses affiliated with the European Fire & Security Group (EFSG). All EuroSafe members, including ourselves must comply with a code of conduct and adhere to a duty of care to our customers to provide expert and uniformed advice on product specification, test certificates and insurance indemnity levels. More information about EuroSafe can be found here. As members of Safe Contractor, at Thornhill Security we understand that health and safety is an important aspect of any business. As the fastest growing health and safety association in the UK, Safe Contractor review our health and safety policies, procedures and documentation ensuring the highest of standards. You can therefore buy from Thornhill Security safe in the knowledge that we take our obligations and responsibilities very seriously. 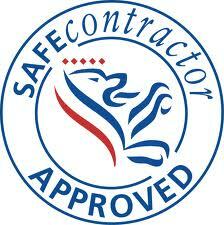 For more information about Safe Contractor visit their website here. ConstructionLine are a public-private initiative between Capita and the Governments Department for Business Innovation and skills. By standardising the pre-qualification stage they aim to make the process for construction related contractors, consultants and material suppliers more efficient for buyers and suppliers. This means that Thornhill Security have the relevant company information, policies and procedures; all of which are verified and accepted onto an approved database. 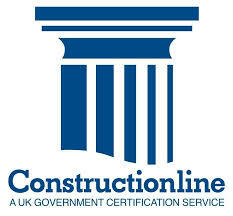 More information about ConstructionLine can be found here.